Stone fruit is a summer favorite in our home! I am always looking for ways to incorporate fruit into our desserts (and meals too). 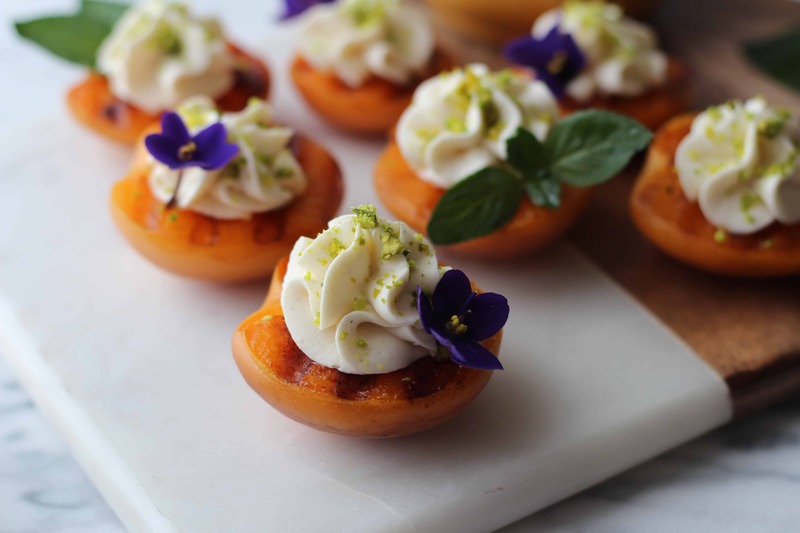 Roasted apricots with mascarpone and pistachios is the perfect blend of sweet, summer goodness. And this dessert is so easy to make! I absolutely love summer desserts that only take a short time. Especially, when they do not require turning on the oven. 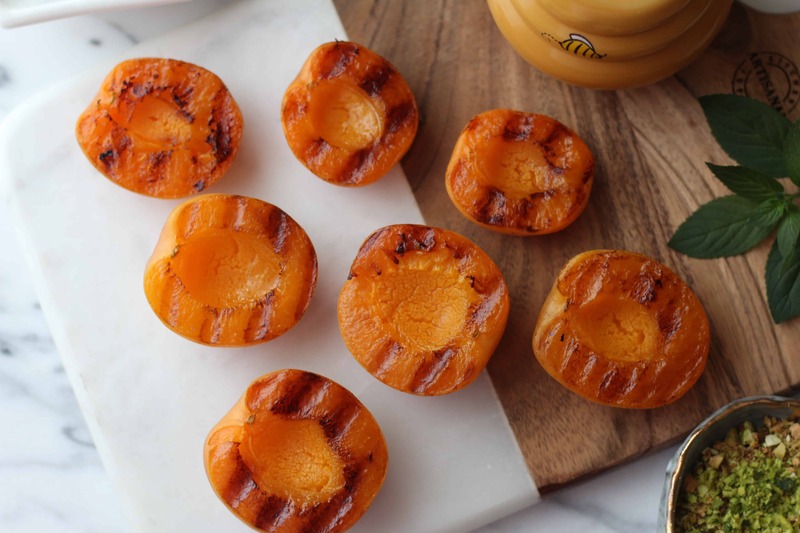 This recipe can be made on the grill and with any other stone fruit you like! When prepping your apricot, place your edible flowers and mint in cold water to keep them fresh and prevent wilting. 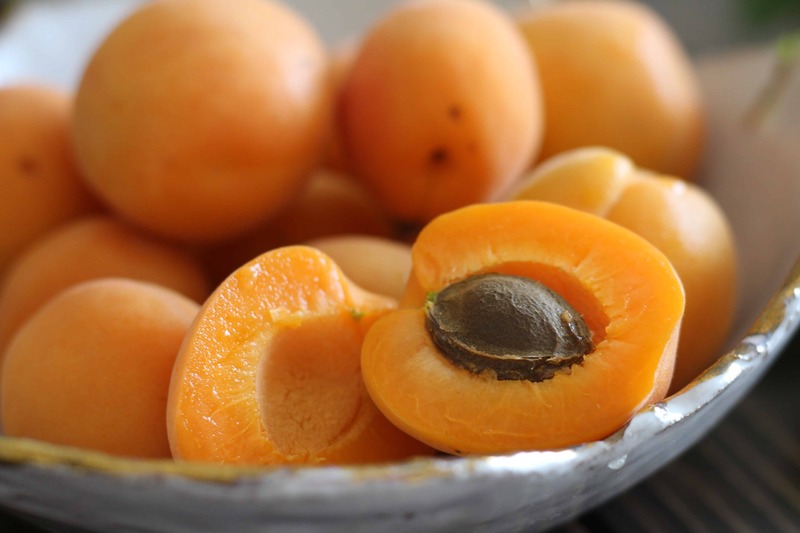 The apricots can also be prepared in advance and then assembled before eating. It can be served warm (my favorite), at room temperature or cool. In a medium bowl, combine mascarpone with cardamom, cinnamon, whipping cream, and powdered sugar. Place mascarpone in a pipping bag. Set aside. In a grill pan, heat the coconut oil on medium heat and place the apricots cut side down. 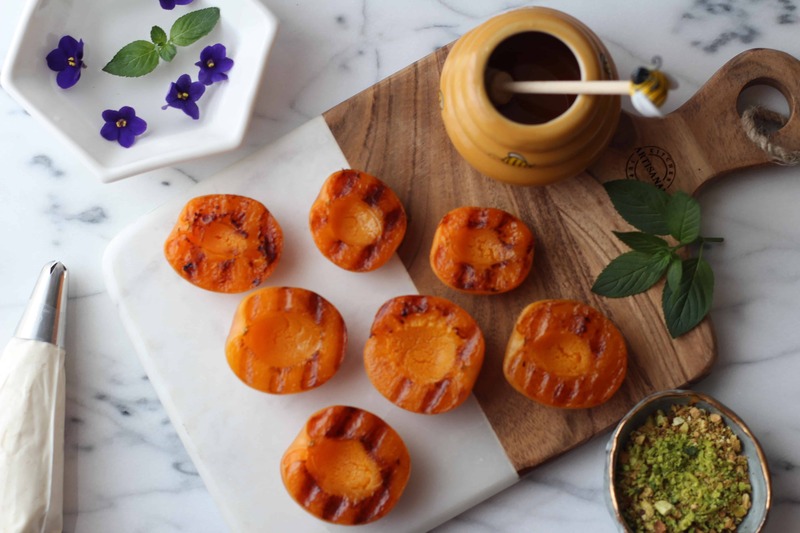 Cook the apricots for 3-5 minutes, until softened and slightly caramelized. Remove from heat. Place apricots on serving platter. Pipe the mascarpone onto the apricots. Sprinkle the pistachios over the top and drizzle with honey.